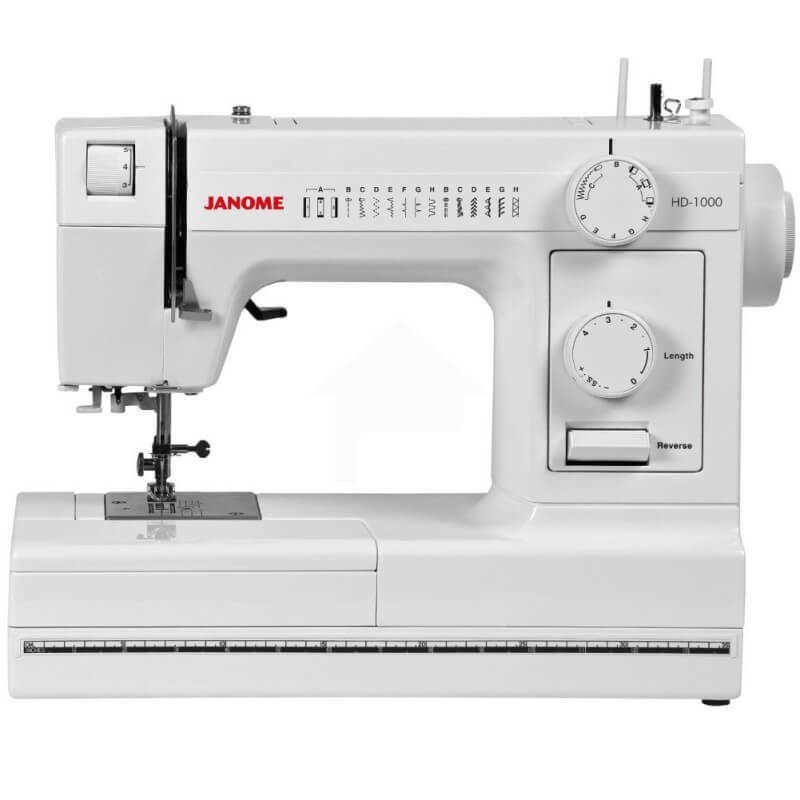 The Janome HD1000 Heavy-Duty Sewing Machine is a durable, sturdy machine. It is constructed with a heavy duty aluminum body and is designed to be dependable and enjoyable to use. It includes 14 stitches and a four step buttonhole and even has a convenient built-in needle threader. 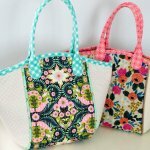 The Janome HD1000 is a great machine for beginners or for anyone that just needs a workhorse of a sewing machine. 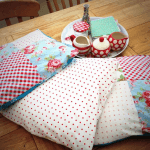 It comes with a dust cover, bobbins, a small and large screwdriver, a set of needles, felt and oil. There are not a lot of reviews online yet for the Janome HD1000 Heavy-Duty Sewing Machine but so far the reviews are very strong. We found only 35 user reviews online but this product received an average user rating of 4.4 stars. One thing that a lot of people commented on was the metal construction. 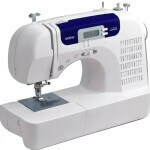 People feel that this is a durable and rugged sewing machine. People are also commenting that the instructions that come with this machine are easy to follow and the machine itself is easy to use. A lot of users agree that the Janome HD1000 is a simple machine. 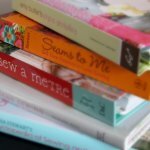 It doesn’t have all of the fancy bells and whistles that some of the other sewing machines on the market have but a lot of customers are saying that if you don’t need all of those frills the Janome HD1000 is a fantastic sewing machine. A couple of reviews came from professionals that are very satisfied with this machine. 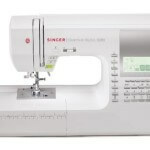 One review came from a woman that said her mother-in-law uses this machine in her sewing business and it is going all the time. She has been using it for two years with no problems whatsoever and she says that it is the best machine she has ever used. 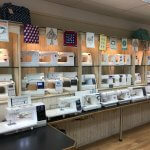 Another review came from a customer that said they worked in a tailor shop for many years on Bernina machines and she fell in love with those machines but could never afford one. 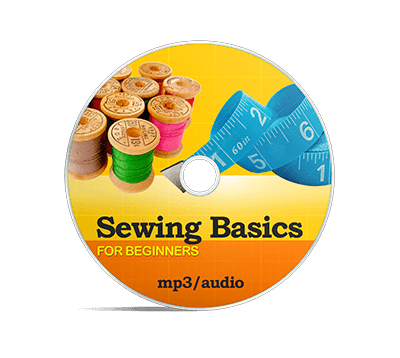 She says that this machine is just as easy to use and works just as well as a Bernina. 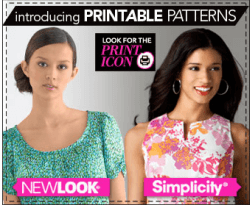 Several reviewers are very impressed with the sewing jobs that this machine is able to handle. 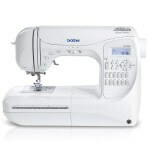 One person said that they bought this machine for sewing outdoor canvas projects with a 16 needle and a v69 poly thread. 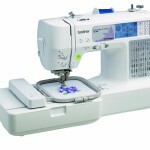 They said that the Janome HD1000 is able to sew through the canvas with ease. Another person said that they are able to sew through double flat felling denim very easily and they say that the penetration power is great. The reviews for the Janome HD1000 are very impressive. 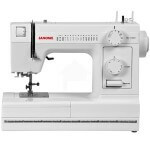 If you are looking for a well built, durable, no-frills sewing machine that can sew through just about any material and can be purchased for a price that won’t break the bank then this is the one for you.